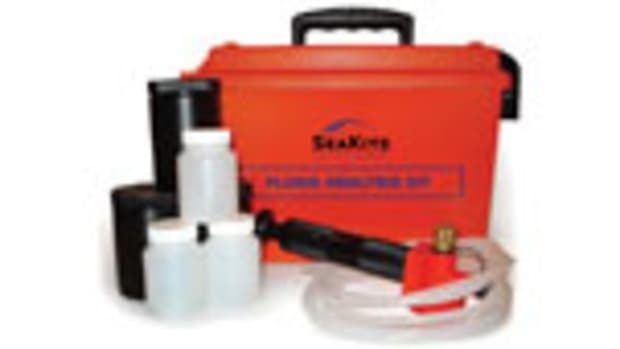 The newest technology in diesel engines makes for better boating and a cleaner environment. 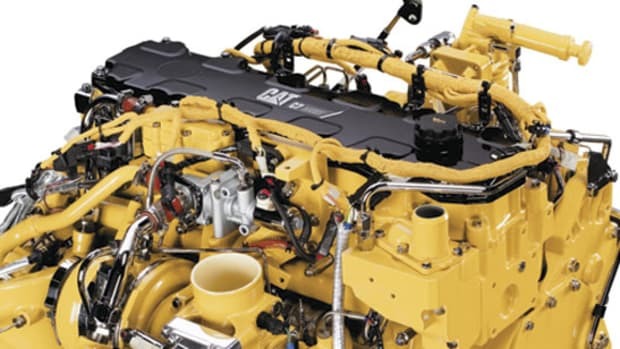 If you pay any attention to the topic of boat engines, you’ve probably heard the term “common-rail diesel” bandied about and perhaps wondered what it means. 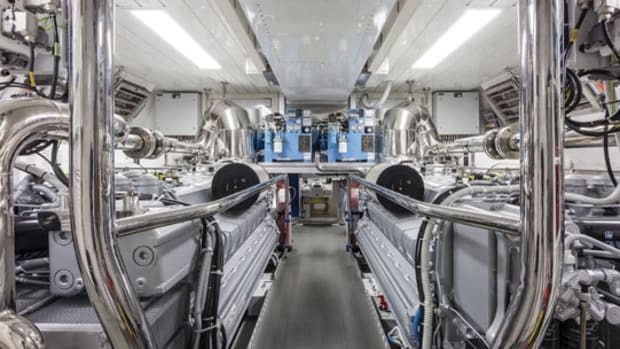 In fact, this technology is in no way restricted to the marine venue; it’s also common in both stationary and vehicular powerplants, mainly because it helps diesels meet new, stricter emission standards. 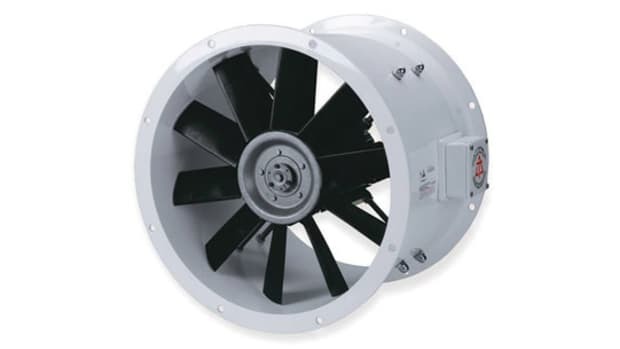 You are no doubt an environmentally responsible boater and so applaud the appearance of a technology that will clean up the act of an engine whose reputation has often been sullied by soot and smoke. 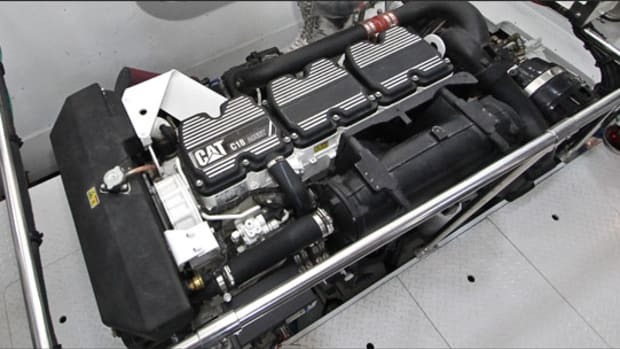 But as this innovation increases the already high cost of a new diesel engine, you have every right to ask what, if anything, common-rail technology does to actually improve your time on the water. The pressure generated by these plungers is a crucial component because when high-pressure fuel is forced through small openings in the injector, it becomes a fine spray. The finer and more evenly dispersed this spray, the faster and more completely the fuel burns, the lower the emissions, and the higher the power output. By comparison, common-rail technology eliminates most of this scenario, except for the injectors. 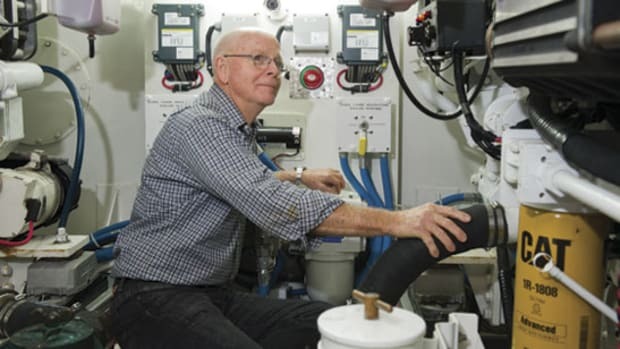 A low-pressure electric pump brings fuel from the tank and then a high-pressure pump—around 30,000 psi—forces it into a single tube—the common-rail—to which all of the injectors are connected. The minute you turn the key, this tube is fully pressurized regardless of engine speed. The amount of fuel in the rail is also constant; adjusting the amount admitted to the cylinder is the job of the fuel injector. Because of the system’s extremely high pressure, a common-rail fuel injector can have more and smaller openings than a conventional one, resulting in a finer, more accurately directed spray. 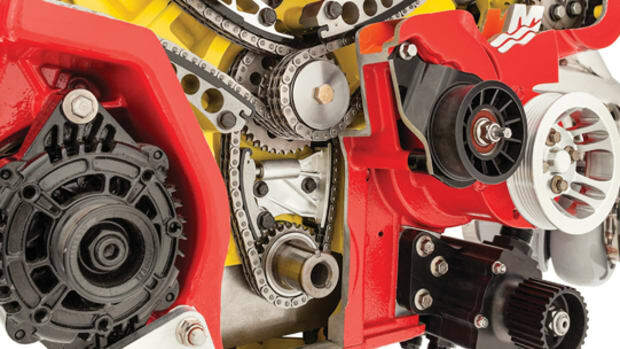 It’s also incredibly quick: it can inject fuel as many as five times per each combustion event, allowing combustion to proceed more evenly and eliminating the familiar diesel knock that results from one large fuel burst. And because the injector is controlled by an electronic control unit (ECU) and is not dependent on the action of a mechanical plunger, injection timing is much more precise and not subject to inaccuracies due to mechanical wear. All of this is possible because of—you guessed it—advanced electronics: the high-pressure electronic fuel pump, the electronically controlled injectors, and the ECU that conducts the whole symphony. All this stuff is expensive and that helps explain why common-rail diesels are comparatively costly, although newness is another factor, too. 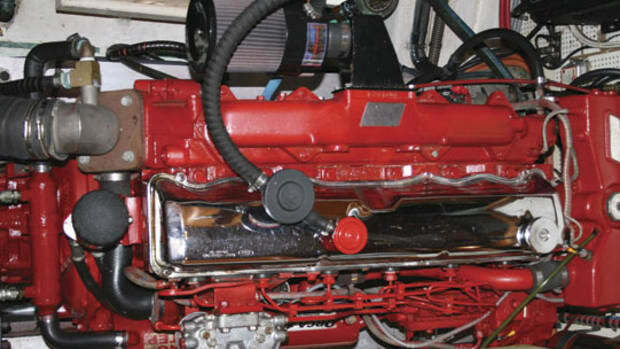 So back to our original question: What effect does common-rail technology have on your boating? Will you even notice it? Yes and no. Common-rail was developed primarily as a way to reduce emissions. 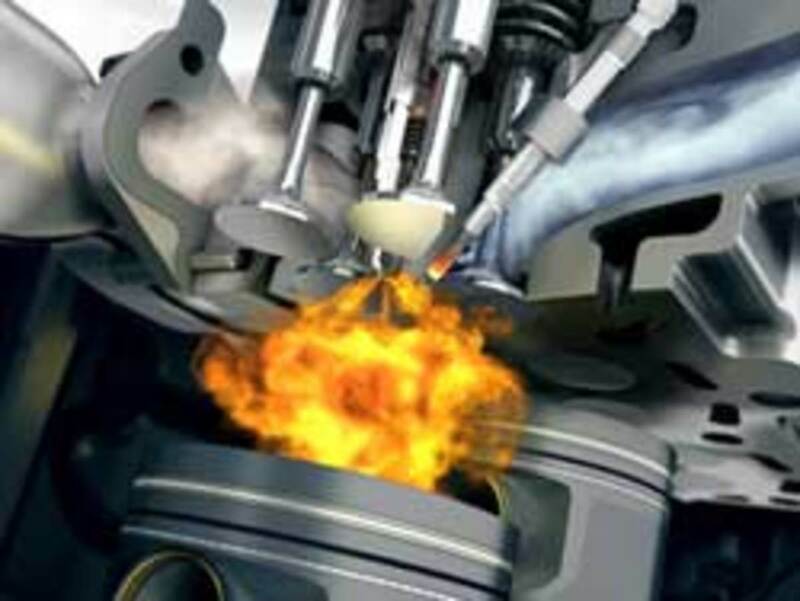 Because it burns fuel more completely, common-rail engines are more efficient. But we’re talking an order of magnitude that’s unnoticeable for the average boater. 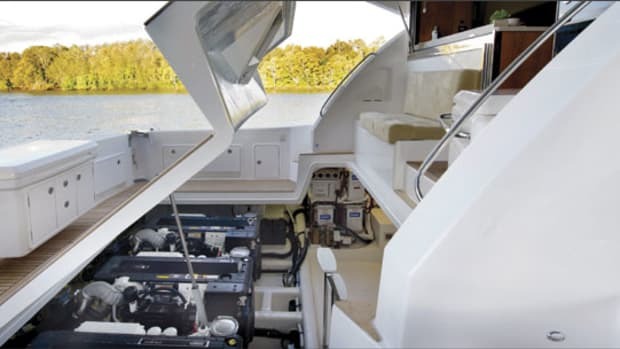 What you will notice is cleaner exhaust (and no soot on your transom), not only thanks to more complete combustion but because the whole system is electronically controlled—the engine always gets exactly the amount of fuel it can burn, no matter how much you pound the throttles. So starting is also improved, and that strong diesel-exhaust odor is gone. But what you’ll probably notice more is how un-diesel-like these diesels are. First, throttle response is vastly better; a common-rail boat accelerates briskly—more like one powered by big gasoline engines. And because fuel is delivered more accurately, that familiar diesel “knock” is gone—in fact the engine is so much quieter, it’s often mistaken for a gasoline powerplant. And finally, thanks to a smoothed-out combustion process, that familiar diesel shake is gone too. In short, common-rail technology removes all of those characteristics that everyone has always objected to about a diesel, except cost and weight. And by any measure, that’s an uncommon accomplishment.